As we age, we lose proteins that support our brain. Prevagen® supplements these proteins during the natural process of aging. 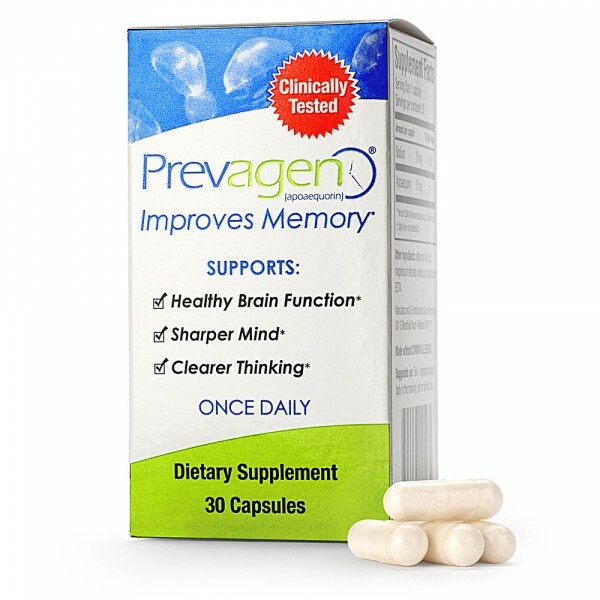 Prevagen® (apoaequorin) is clinically shown to help with mild memory problems associated with aging. 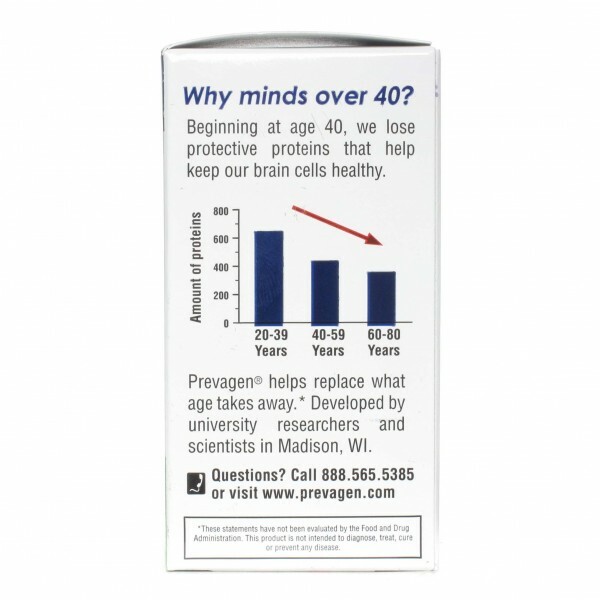 Prevagen contains apoaequorin, a protein which uniquely supports critical brain functions. 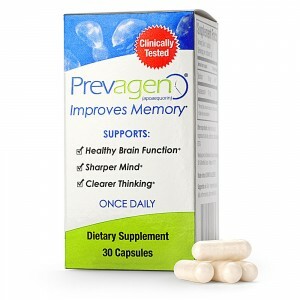 In clinical studies Prevagen improved memory within 90 days. In a computer assessed, double- blinded, placebo controlled study, Prevagen® improved memory. 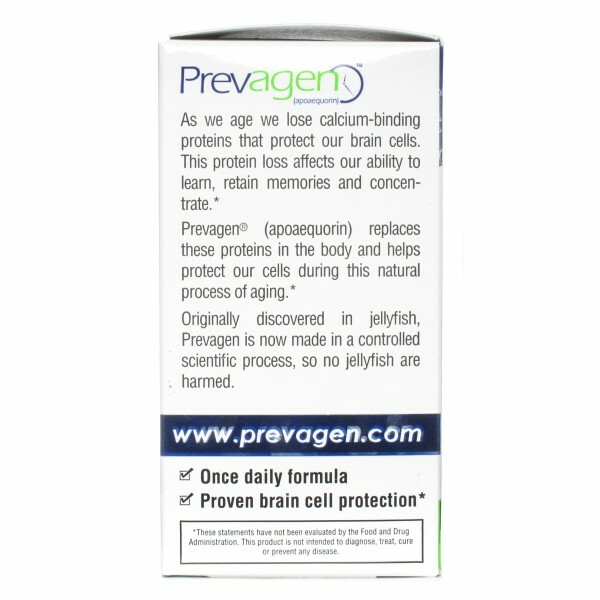 Originally discovered in jellyfish, Prevagen® is now made in a controlled scientific process. Developed by university researchers and scientists in Madison, Wisconsin. 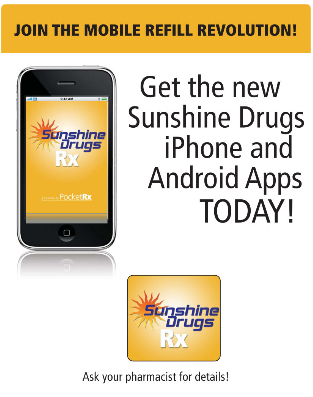 Take 1 capsule daily in the morning, with or without food. Other Ingredients: White rice flour, sodium chloride, and magnesium stearate.